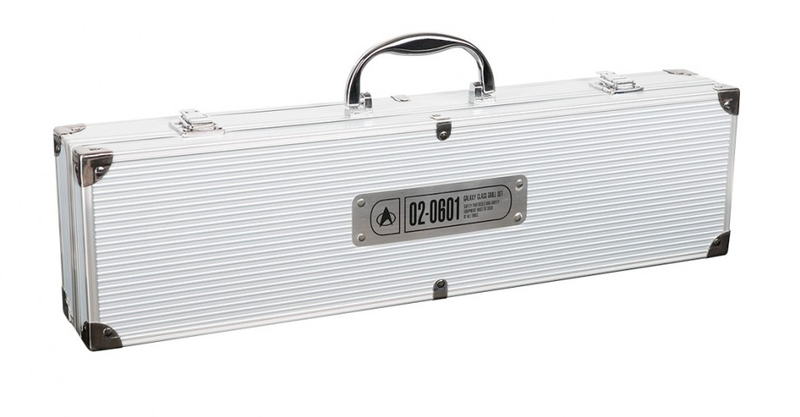 The StarTrek Shop is taking orders for this cool Star Trek: The Next Generation BBQ set. Now you can stab your meat with a Cardassian fork and flip your burgers with the Enterprise D. It’s too bad they don’t have a branding iron that will make your burger look like the Enterprise. Or a Meat tenderizer shaped like a Borg cube. I’d like to beat my meat with the Borg. Sounds dirty, but makes for tender meat. 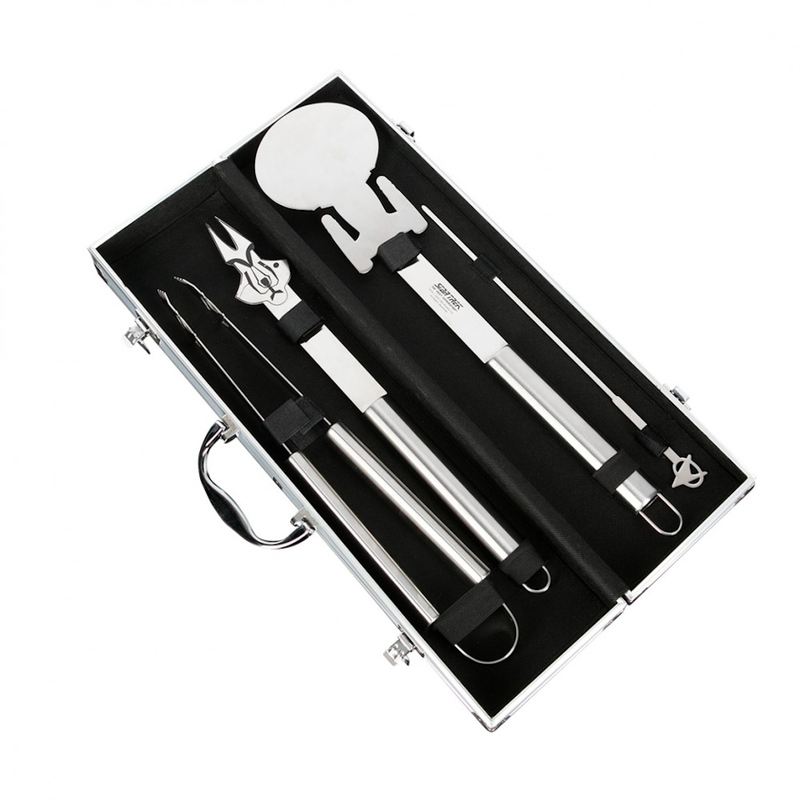 This set includes an Enterprise-D shaped spatula, a Cardassian emblem fork, Starfleet delta embellished tongs, and a set of four Starfleet delta skewers. It all comes in a Starfleet issue box. The set should be available from later this month. Grill long and prosper.